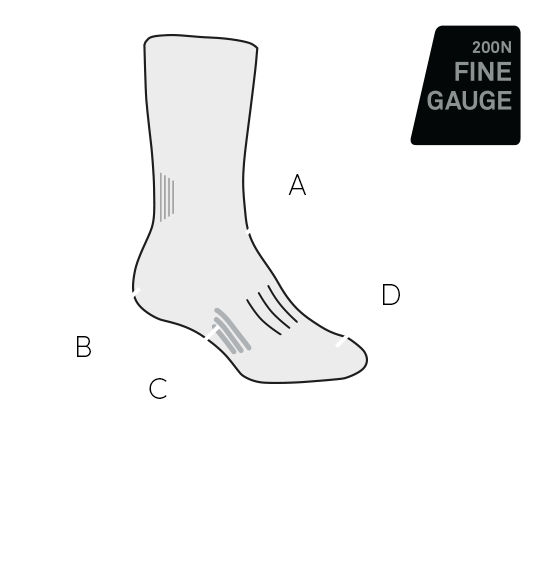 For daily commutes, post-trail relaxing or just cruising around town, the Lifestyle Fine Gauge Crew Approach socks combine the breathable comfort of fine-gauge merino with versatile style. The stretchy merino wool blend fabric provides insulation and comfort while remaining highly breathable and Odor Resistant. The reinforced heel and toe areas provide long-lasting durability and strength while the seamless toe box reduces bulk and prevents blisters.